A perennial question, argument and debate in the field of nutrition has to do with how many carbohydrates people should be eating. While the nutritional mainstream is still more or less advocating a large amount of daily carbohydrate (with fat being blamed for the health problems of the modern world), groups often considered at the ‘fringe’ of nutrition are adamant that carbohydrates are the source of all evil when it comes to health, obesity, etc. They advocate lowering carbohydrates and replacing them with dietary protein, fat or both. 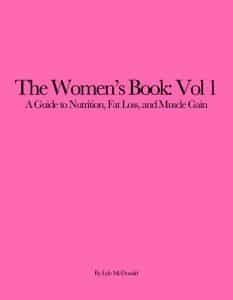 This is a topic that I discussed in some detail in Carbohydrates and Fat Controversies Part 1 and Carbohydrate and Fat Controversies Part 2 and I’d recommend readers take a look at those for a slightly different look at the issue than what is discussed here. Arguments over recommended carbohydrate intake have a long history and it doesn’t appear to be close to ending any time soon. Typical mainstream recommendations have carbohydrates contributing 50% or more of total calories while many low-carbohydrate advocates suggest far fewer (ranging from the 40% of the Zone diet to close to zero for ketogenic diets). This article looks at the topic in detail. And while I originally wrote it quite a while back (some of you have probably seen it before), it was nice going over it with fine toothed comb for an update. While the majority of it stands up well over time, I was able to make some slight changes to the values, along with removing some original stuff that wasn’t really relevant. Enjoy. It’s safe to say that most carbohydrate recommendations that you will see are put in terms of percentages, you should be eating 45% of your calories as carbs, or 65% or whatever number is being used. As I discussed in Diet Percentages: Part 2, I don’t like this method. Rather, putting nutrient recommendations in terms of grams per kilogram or per pound is generally more valid (with one exception I discuss below). The percentages are simply meaningless without knowing how many carbohydrates are being provided in terms of gram amounts. In that context, a typical ketogenic/low-carbohydrate diet might contain 0.5 g/lb (~1 gram/kilogram) of carbohydrate. An average moderate carb diet (such as The Zone or Duchaine’s Isocaloric Diet) might contain 1 g/lb (~2 g/kg) of carbohydrate or slightly more. A typical high-carbohydrate diet would, of course contain more than that (perhaps 2-3 g/lb or more). Typical recommendations for endurance athletes are in the 3-4 g/lb (6-8 g/kg) range and carb-loading may require 5-8 g/lb (10-16 g/kg) of carbohydrate. Still, whether you’re looking at carb recommendations in terms of percentages of g/lb (g/kg), there is still a huge discrepancy between different experts. Some recommend lots of carbs, some recommend medium amounts, some recommend almost none. Who’s right? Well, I am. Because rather than giving some single carbohydrate recommendation (that can’t possibly take into account all possible situations), I look at the individual and their needs to decide how many carbohydrates should be consumed daily. Which is what I’m going to look at in detail in this article. The punchline, of course is that I’ll end up concluding that how many carbohydrates someone needs (or should consume) daily depends on the same factors that affect other nutrient recommendations: goals, preferences, types and amounts of activity, and our old friend, genetic variation. By the end of the discussion, I’ll have set both minimum and maximum intake values depending on different conditions that might crop up. Let’s start with minimum amounts. Despite oft-heard claims to the contrary, there is no actual physiological requirement for dietary carbohydrate. Even the RDA handbook acknowledges this, right before recommending that a prudent diet should contain a lot of carbohydrates. Any nutrient that is required for survival. Can’t be made by the body. The second criterion is the reason that dietary carbohydrate is not an essential nutrient: the body is able to make as much glucose as the brain and the few other tissues need on a day-to-day basis from other sources. I should mention that the body is not able to provide sufficient carbohydrate to fuel high intensity exercise such as sprinting or weight training and carbs might be considered essential for individuals who want to do that type of exercise. I’ll come back to exercise later in this article. But from the standpoint of survival, the minimum amount of carbohydrates that are required in a diet is zero grams per day. The body can make what little it needs from other sources. What, you ask, are those other sources? Read on. Where Does the Glucose that the Body Makes Come from? When carbohydrates are restricted completely, the body still has a small requirement for glucose (although this decreases over time) and the body has to find something to make glucose out of. That something is lactate and pyruvate (produced from glucose metabolism), glycerol (from fat metabolism) and some amino acids. It’s the amino acid use that can be problematic since they have to come from somewhere. Now, if no food is being consumed (e.g. total starvation), that somewhere is generally muscle tissue (the body will also break down liver proteins); the body will readily break down body protein to scavenge the amino acids it needs to produce glucose. In doing so, the muscle released alanine and glutamine (produced in the muscle from the breakdown of leucine and the branch chained amino acids, so you know) which can be converted to glucose in the liver. This process goes by the unwieldy name of gluconeogenesis which just means the production of new glucose. Protein losses during total starvation are extremely high to start, gradually decreasing as the brain switches over to using ketones for fuel (this reduces the body’s glucose requirements which means less protein has to be broken down to make glucose). Even so, during complete starvation there is always some loss of body protein. Over long periods of time, this goes from harmful (because function is compromised from muscle loss) to downright fatal. Especially as folks get extremely lean and body protein breakdown increases. In this context, an under-appreciated fact of liver and protein metabolism (but discussed in detail in The Protein Book) is that over half of all ingested amino acids are broken down in the liver in the first place. A good portion of those can be used to make glucose and this is especially true when carbohydrates are restricted. Switching from starvation to dieting, this is fundamentally a big part of why protein requirements go up when folks are dieting, more of the ingested protein is being used in the liver to make glucose, meaning that more total protein has to be ingested to make sure there is sufficient amounts to support things like protein synthesis in skeletal muscle. I don’t want to discuss this in detail here (since this article is about carbohydrates) but the topic is covered to some degree in nearly all of my books. My original Ketogenic Diet had a thorough examination of protein sparing on a diet and, of course The Protein Book discusses how protein requirements change during dieting in detail. I’d also note that, as long as protein intake is sufficiently high (e.g. the diet is covering the increased breakdown of protein in the liver and elsewhere), the amount of carbohydrates which are truly required is still zero; this is the basis of my Rapid Fat Loss Handbook approach: eliminate all non-essential nutrients (including carbohydrates) and provide only those that are essential (in this case large amounts of high-quality protein and essential fatty acids) to generate the largest deficit and maximum fat loss per day. But, let’s assume that you don’t just want to eat massive amounts of protein, how many carbohydrates are needed to limit (or prevent) protein loss on a diet? How Many Carbohydrates Do I Need to Spare Protein Loss? Early research into the topic of starvation and low-carbohydrate dieting found that as few as 15 grams of carbohydrates per day can limit nitrogen loss in the body. And raising carbohydrate intake to 50 grams per day severely limits the need for the body to use amino acids for gluoconeogenesis (which is why I suggested setting daily carbs on the low-carb days of The Ultimate Diet 2.0 at 50 grams). The increased carb intake maintains blood glucose and insulin at a higher level (inhibiting cortisol release). The carbohydrate provides glucose for the brain, limiting the need to break down body protein. Basically, in the context of dieting, dieters can either jack up dietary protein to cover the increased carbohydrate requirements of dieting or simply eat slightly more carbohydrates to provide them directly. Both have the same end-result. 15-50 grams per day limits the body’s need to break down protein and will allow protein requirements to be set lower than a diet providing essentially zero carbohydrates per day. Since I’m going to use the term in just a second, I need to define what it means. When fatty acid burning is ramped up to high levels (as when carbohydrates are restricted), the body starts producing ketone bodies in the liver. As noted above, many tissues in the body can use ketones for fuel, basically they are an alternative energy source to glucose when it’s not available. When ketones build up in the bloodstream beyond a certain point, a condition called ketosis is said to develop. In contrast to the diabetic ketoacidosis (which occurs in poorly treated Type I diabetics), dietary ketosis is not dangerous and is an adaptation by the body to total starvation. Many diets such as The Atkins Diet and other very low-carbohydrate diets are based around establishing ketosis for various reasons which are beyond the scope of this article. I only bring this up as most ketogenic diets set a carbohydrate intake level of roughly 30 grams per day (allowing some vegetables but little else) although I’ve never found support for that specific value. I bring this up in the context of this article as many people start such diets with the specific goal of developing ketosis (again, for a variety of reasons). Since many books give the 30 g/day value for a ketogenic diet, folks get a little anxious about carb intakes that are higher than that. However, strictly speaking, any diet with less than 100 g/day of carbohydrate will cause ketosis to develop to some degree (more ketones will be generated as carbs are lowered). I’d note that many ketogenic dieters use Ketostix to track ketosis, small sticks that measure urinary ketone levels. These are misleading for a number of reasons, not the least of which is that while ketosis (as defined by blood concentrations of ketones) may develop, urinary ketones don’t always show up, especially as carbs are raised to nearer the 100 g/day high end. In any case, an intake of 15-50 grams per day of carbohydrate will still allow ketosis to develop and those ketogenic dieters attempting to ‘eat as few carbs as possible’ might want to consider that in the context of not only providing much needed food variety (at 50 g/day, even a small amount of fruit can often be fit in) but also in the context of the protein sparing issues I discussed above. Getting to the point, although the physiological requirement for dietary carbohydrates is zero, we might set a practical minimum (in terms of preventing excessive body protein loss) at 50 grams per day. I’d note again that, within the context of The Rapid Fat Loss Handbook approach, carbs are limited to essentially trace amounts; however protein (which makes up the majority of the diet) is set high enough to limit muscle loss. However, not everyone functions well in ketosis. They get brain fuzzed, lethargic and just generally feel awful. Even with weeks of being on a ketogenic diet, they never seem to adapt completely. That’s not a good recipe for long-term adherence to a diet or healthy functioning or training. Tangentially, I’d note that this seems to be related to inherent levels of insulin sensitivity. Individuals with good insulin sensitivity, who typically run well on carbohydrates, tend to not do well on low-carbohydrate diets. In contrast, individuals with insulin resistance often do far better reducing carbohydrates and that often means going to ketogenic levels. Finally, some people seem to have the metabolic flexibility to do well with either diet. I address this issue in more detail in article Insulin Sensitivity and Fat Loss. So what if people want to avoid ketosis? In general, assuming zero or very low levels of activity, an intake of 100-120 grams of carbohydrates per day will prevent the development of ketosis, just providing the brain with enough carbohydrates to function ‘normally’. So, for folks who want (or need) to just avoid ketosis, 100-120 grams per day will act as a practical limit. Again, this won’t quite work as a recommendation for people involved in high-intensity activity since not all of the incoming carbs will be available for the brain. So, summing up mid-article, the absolute requirement for carbohydrates is zero grams per day. However, depending on protein intake, a practical minimum for carbs lies between 50 grams/day (if someone functions well in ketosis) to 100-120 grams per day (if they don’t function well in ketosis). Let me mention very specifically that I’m not suggesting those numbers are a recommended level, I’m simply using them to represent a practical minimum value. As a final note, before addressing the issue of exercise, I want to note that the above values above don’t change significantly with body size (e.g. it’s one of the few places that an absolute number of carbs, rather than an amount set relative to bodyweight is appropriate). Most of the above discussion deals with the carbohydrate requirements of the brain which, for the most part, doesn’t change massively with body size. A 120 pound female and a 200 pound male have roughly similar carbohydrate requirements for their brains because brain size simply doesn’t differ that much between them. In this context, bodybuilding nutrition (much of which has been determined empirically over the years) has long recommended carbohydrate intakes ranging from 1 g/lb on fat loss diets to 3 g/lb for mass gains so we’re definitely in that range at this point. General recommendations for strength athletes by the nutrition mainstream are in the range of 5-7 g/kg or 2.2-3 g/lb so these values are all pretty consistent. Higher intensity cardiovascular exercise is a little bit harder to pinpoint in terms of carbohydrate requirements and can vary pretty significantly depending on the intensities and volumes. A sprinter running 60m repeats isn’t using a lot of glycogen, a trained endurance athlete working near their lactate threshold for extended periods can deplete glycogen fairly completely in 1-2 hours. Even at lower intensities, the 2-6 hour sessions done by endurance athletes can completely deplete both muscle and liver glycogen stores on a daily basis. Full skeletal muscle glycogen depletion for these athletes might represent 300-400 grams of total carbohydrate or more. For an average sized endurance athlete this might represent 3 g per pound or ~6 g/kg on a more or less daily basis. Under less extreme circumstances, carbohydrate requirements won’t be as high. And while current recommendations for endurance athletes are in the 7-10 g/kg (3-4.5 g/lb) range, studies show that most athletes consume closer to 5 g/kg (2.2 g/lb). However, only the most highly trained athletes are going to be able to do that on a daily basis. Even with exercise, the average recreational trainee won’t have carb requirements near that level. Essentially, if competition athletes are getting sufficient carbohydrate intake at a level of ~5 g/kg (roughly 2 g/lb), I see little reason for the average individual to consume more or for people to recommend that they consume more. I should note that the above sections assume that maintenance of muscle glycogen is the goal. Under some situations (generally fat loss), glycogen depletion, or maintenance of glycogen at a lowered level is the goal. This means that an athlete or dieter may deliberately under consume carbohydrates such that, over some time period, glycogen concentrations decline. In such a situation, where someone deliberately wanted to maintain muscle glycogen at lower levels, the above values would be too high since they are aimed at full glycogen repletion after heavy exercise. Of course, there are also situations where dieters or athletes want to increase muscle glycogen levels far above normal; this will require higher carbohydrate intakes than the values above. Is There a Maximal Level of Carbohydrate Intake? Logically, a practical upper limit for carbohydrates intake would be a situation where they made up 100% of someone’s total energy intake. An average individual has a daily caloric intake in the realm of 14-16 cal/lb. Since carbs have 4 calories/gram, this would represent a maximum intake of roughly 4 grams/lb (8.8 g/kg). Of course, athletes involved in heavy training (who are burning far more calories than 14-16 cal/lb) have higher caloric (and hence carbohydrate requirements). But for the typical person at maintenance, a realistic upper limit would be ~4 g/lb and this would leave no room for either dietary protein or fat (without going over maintenance calories). Of course, there are also situations where a dieter or athlete wants to super-compensate their muscle glycogen levels; that is load the skeletal muscle far above the levels which are normally maintained. This is often done by endurance athletes looking to improve performance and various cyclical diets (such as my Ultimate Diet 2.0) use glycogen compensation for anabolic (muscle building) purposes. Generally speaking, to generate maximal levels of glycogen requires first depleting the skeletal muscle with the combination of heavy training and a low-carbohydrate diet. Given those conditions, carbohydrate intakes in the realm of 16 g/kg (a little over 7 grams/pound) of lean body mass can be tolerated over a 24 hour period. This probably represents a practical maximum for carbohydrate intake but it would only be achievable under this very specific situation. So let’s sum up, looking at both practical minimum and maximum carbohydrate intakes under different circumstances. For illustrative purposes, after each of the g/lb recommendations, I’ll give an absolute number of carbohydrate, assuming an athlete with 160 pounds of lean body mass. All values are in g/lb. To convert to g/kg, multiply by 2.2. Note: If protein intake is sufficient, this amount of carbohydrate is not required. All values above this line assume no exercise and do not change significantly with body weight. Assumes a set length of 30-45 seconds. Clearly the above represents a pretty drastic range of carbohydrate requirements, depending on the specifics. For a typical male with 160 pounds of lean body mass, daily carbohydrate intake could range from the physiological requirement of zero grams per day to a near maximum of 1120 g/day during a carb-load. Which makes it no wonder that people are confused. Simply, the question “How Many Carbohydrates Do You Need?” has no singular answer. The goals of the person, the amount and type of activity, their individual needs (e.g. insulin sensitive vs. resistant, whether or not they function well in ketosis or not), their individual goals all determine how many carbs are ideal in the diet.